Hoping to score a new iPhone, iPad, or Apple mobile accessory this holiday shopping season? We break down the hottest holiday iPhone deals and popular accessories for all Apple fans. As the holidays approach and the year 2018 draws to a close, everyone is looking to find great gift ideas for the mobile users or tech enthusiasts in their lives. Apple devices are always hot commodities over the holidays, but knowing which devices and accessories are newest or hottest is never a straightforward affair. Fortunately, Shacknews is here to showcase some of the holiday 2018 gift ideas for Apple iPhone and iPad owners. As technological devices go, phones are among the most personal items we use in our everyday lives. As such, it's not always easy to know what sort of phone someone would like or what sort of accessories might make a good match. Apple is generally pretty good about making sure accessories are compatible with a range of devices, but with several different makes and sizes of both iPads and iPhones on the market, it's worth knowing which sort of device purchases will be geared toward before making a purchase. Although the standard iPhone X is no longer in production, Apple has replaced it with not one but three new models: the iPhone XR, iPhone XS, and iPhone XS Max. Though each of the three models carries a slightly different form factor, all three of them are powered by Apple's A12 Bionic processor, and are offered with storage amounts rangin from 64GB at a base level all the way up to 512GB for the XS and XS Max. All three also offer a 7-megapixel front-facing camera which is used as part of the Face ID system, and all of them run on iOS 12, the latest version of Apple's mobile operating system. The most obvious difference between the three will be in display size: the iPhone XS Max is the biggest, busting out a borderline-ridiculous 6.5-inch Super Retina OLED display. The iPhone XS is the smallest of the three, clocking in at 5.8 inches, while the more budget-oriented iPhone XR has a 6.1-inch Liquid Retina display. Beyond size, shoppers will most likely be concerned with the price. As the flagship device, the XS Max has an MSRP of $1,099 for the 64GB model or $1,449 for the 512GB model. Being smaller, the XS is cheaper, coming in at $999 for the 64GB model and $1,349 for the 512GB model. Finally, the more budget-oriented iPhone XR clocks in at $749 for the 64GB model and $899 for the 256GB model. Unlike with the new iPhones, there's not really much to indicate which is the latest iPad model. Don't be fooled, though — Apple most certainly has a latest-and-greatest model, and it's the 2018 iPad Pro. This particular tablet sports a 12.9" Liquid Retina display featuring both ProMotion technology and what Apple refers to as a True Tone display. Powered by the latest A12X Bionic chip, the iPad Pro includes all the hottest bells and whistles, including 4K video recording, a 12 megapixel camera sensor, a USB-C connection, and compatibility with the latest second-generation Apple Pencil. Even better, it comes in two different sizes: the 12.9-inch iPad Pro retails for $999 for the 64GB model and up to $1749 for the 1TB model, whereas the 11-inch iPad starts at $799 for the 64GB model and goes all the way up to $1549 for the 1TB model. Both sizes also come with the option to include cellular network support for an addition $150. Assuming the raw power of the Pro line of iPads is secondary only to having the latest iPad, buyers can opt for the most recent base-level iPad. It has a 9.7-inch screen, runs on the slightly older A10 Fusion chip, captures 8 megapixel photos and 1080p video, and costs just $329 for the 32GB model. Fully kitted with 128GB storage and cellular connectivity, the base iPad costs just $559. The latest generation of Apple's popular smartwatch offers some of the most advanced features we've ever seen in a wearable. Not only is it the world's first over-the-counter electrocardiogram, it has extra features like Fall Detection that are squarely aimed and making sure users can get the help they need in the case of an emergency. It's also one of the most technically impressive wearables on the market. At just 10.7mm in depth, it's the thinnest Apple Watch to date, and it's powered by the latest 64-bit dual-core S4 processor. All of the goodies are included: GPS, heart sensor, accelerometer, gyroscope, Barometric altimeter, ambient light sensor, and even 16GB of on-board storage. Best of all, it can be had for as low as $399 for the standard GPS model or just $499 for the GPS and cellular model, which is capable of placing and receiving phone calls completely independently of a tethered mobile phone. Even if you just picked up a new iPhone, now is the time to start thinking about protection. These devices aren't cheap, after all, so throwing down $20 or even $60 on a new case is no big deal considering the potential to spend upward of $1,400 on the device itself. Fortunately, there are several good iPhone XS and XR cases on the market that should help Apple users with peace of mind. Of the huge variety of iPhone XS cases found online, the Spigen Ultra Hybrid case is one of the most popular. It runs for around $13 on Amazon, blends a soft rubber bumper with a firm TPU back plate, and comes in a variety of colors. 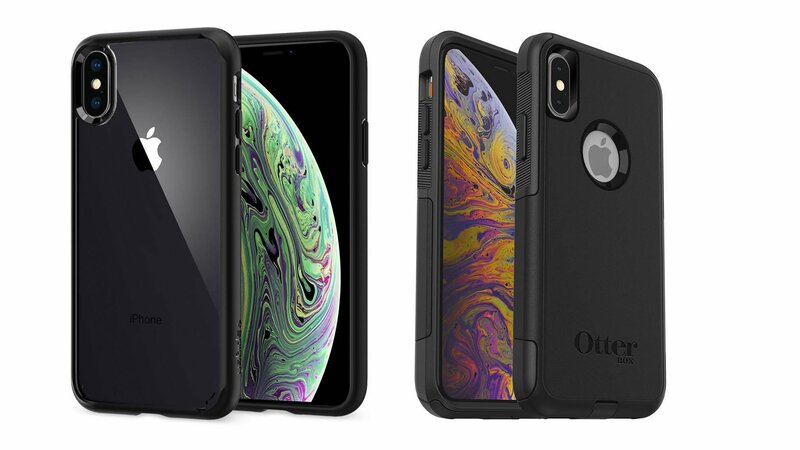 Those who would prefer much more robust protection will doubtless opt for one of the cases from Otterbox: the iPhone XS Otterbox Commuter series costs between $20 and $30 on Amazon and is comprised of a synthetic rubber slipcover mated to a polycarbonate shell, while the beefed-up Defender series case runs for about $40 on Amazon and offers a more robust polycarbonate shell with edge protection and a convenient rotating belt clip holster. Tablet cases are almost always a reflection of the owner's personal style, which is why they typically come in a range of finishes and colors. Generally speaking, folio-style stand covers are among the most popular offerings, protecting the iPad front and back while providing the option to kick back the tablet for desktop use. Among these cases, the ProCase iPad 12.9 case is hard to beat. Costing just $21 on Amazon, this case features a kickstand as well as a stylish composition leather exterior and soft-lined interior in black, brown, blue, and red color choices. Those who are looking for a more functional offering may be interested in the Yekbee iPad Keyboard case. 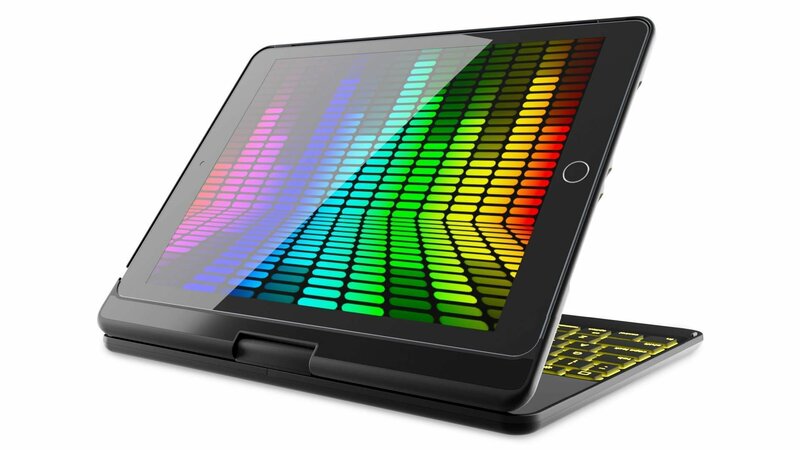 Retailing for $65 on Amazon, this case provides a full 360 degrees of rotation and includes its own Bluetooth backlit keyboard, essentially turning the iPad into a laptop. If a keyboard doesn't sound as appealing as robust protection, it's hard to beat the Zugu case, which runs for $60 on Amazon and includes a magnetized two-piece rubber-and-polycarbonate shell that is rated for protection of drops up to five feet in distance. Just be sure to find one that fits the 2018 iPad, as the 2017 model cases aren't an exact fit for the latest generation of iPads. It might seem a little strange to buy accessories for accessories, but that's the world we live in. Considering that the Apple Watch is a mobile device that you wear on your wrist, it's not surprising to learn that many users wish to customize their wearables. As such, there are loads of different watch bands and cases available for purchase. One of the most popular offerings is the Supcase Rugged Protective Case with strap bands. 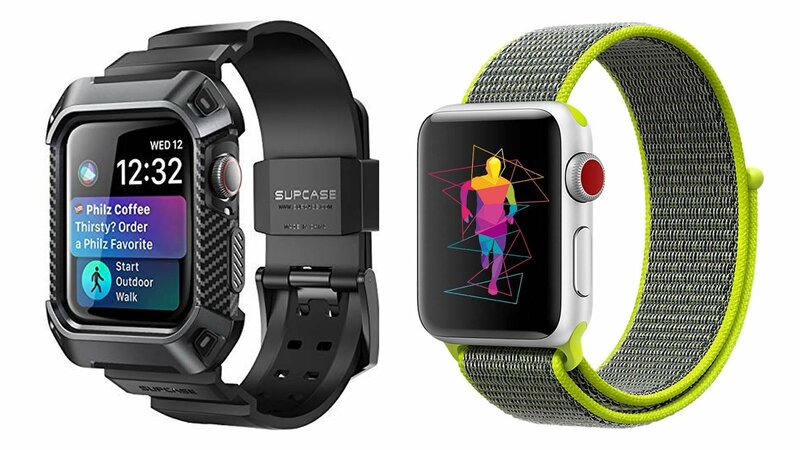 Running for $25 on Amazon, this product combines a protective Apple Watch case with a durable and fully adjustable watch band. Users who are less concerned about protection and more concerned with aesthetics are frankly spoiled for choice. Silicon bands are available from a variety of manufacturers, with IYOU offering silicon-based bands in 36 different color options for around $6 a set on Amazon. If flair is preferred, the Wearlizer Fashion Wristbands turn the Apple Watch into a premium all-metal wearable for just $27. Finally, those who prefer something that speaks to a sporty feel can check out the Inteny Nylon Sport Bands, which keep things clean simple with 28 different color choices, each of which running around $10 on Amazon. These holiday 2018 gift ideas for the iPhone, iPad, or Apple Watch fan should prove to be a big hit this holiday season. To learn more gift ideas for tech enthusiasts, mobile users, or video game fans in general, be sure to stop by Shacknews' 2018 holiday gift guide home page.